I recently paid a visit to Hong Kong’s annual Make-Up Fiesta (combined with one of their mill-annual Wedding Fairs) at Wan Chai’s Convention & Exhibition Centre, hoping for bargain beauty buys and the appearance of some elusive hitherto unfound-in-HK brands (yes, Nfu Oh, I’m looking at you). However, the term ‘Fiesta’ was generous. I’m thinking more ‘intimate gathering’, ‘impromptu shindig’ or even ‘quick drink down the pub with mates.’ Amidst the crowd of wedding gowns, photographers and men pestering my boyfriend as to when the big day was, there were all of about… three make-up stalls. Luckily, there was one that just about made the $20 entry fee worthwhile. NYX Cosmetics is a brand that I’ve not seen sold so far in Hong Kong, and judging by the storm of make-up hungry girls by its stand, not many other people had either. There were also plenty of bargains to be had, if you dared run the gauntlet of being without testers; I picked up… you’ll never guess… nail polish (what else!) at four bottles for $100, plus three NYX Jumbo Eye Pencils for $200. Having got these colourful chunky babies back to the safety of my own home, my only regret is that I didn’t pick up more! 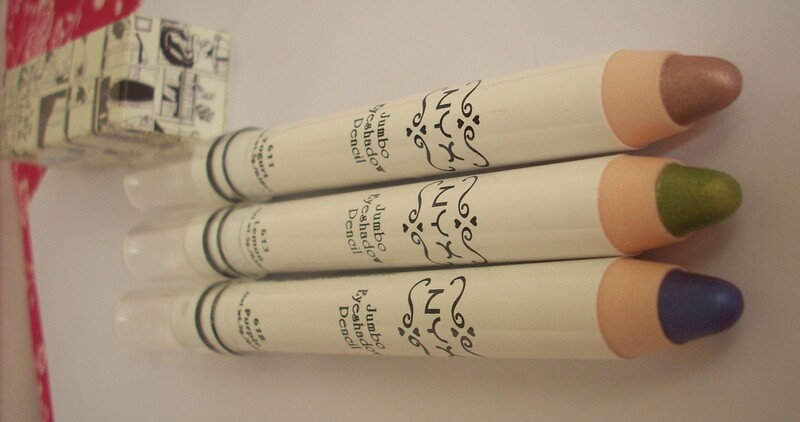 NYX Jumbo Eye Pencils are a very similar proposition to the recently-released Urban Decay 24/7 Glide-On Shadow Pencils (see here for photos). They’re both chubby creamy crayons available in a rainbow of vivid hues, fat enough to use as eye-shadow but pointed enough to use as an eyeliner too. The crayon form makes it ultra-convenient, neater, quicker and simpler than getting your fingers and brushes dirty with powder or cream shadows, whilst the fatter-than-your-average pencil sweeps over the eyelid oh-so-easily in just one or two strokes. So for someone that (guiltily) uses her eyeliners as eye-shadows more often than she should, and for anyone who appreciates great make-up in general, they’re perfection. In my opinion, these are actually softer and creamier than Urban Decay’s eye pencils – they glide onto the eyelid effortlessly, more effortlessly than the word effortlessly even implies, delivering a sweep of vibrant consistent colour that Urban Decay would be proud of. I don’t think they could be nicer about it unless they bowed and said ‘After you, ma’am’. Even after many hours wear, there was no sense of dryness at all, whilst the colour pay-off is so magnificent that it makes coating the eye-lid in a simple intense wash of colour easier than learning your ABCs. Size comparison: NYX Jumbo Eye Pencils vs Urban Decay 24/7 Shadow Pencils ends in a draw! The only downside of the NYX Jumbo Pencils? They crease. A lot. It’s such a shame as the colour itself certainly isn’t going anyway but that’s one area that Urban Decay has them beat at. Obviously, this is less of a problem if you’re using them as a liner, and I’m yet to try them with Urban Decay’s Primer Potion underneath. Many of the colours are named after foods, which sounds fun until you get to the reality of make-up named Black Bean, French Fries and Cottage Cheese (now sadly more famous for being name-checked in thousands of doctor’s leaflets about thrush), which just sound a little… well, icky. After all, I detest Horseradish in real-life, so why would I want to put it anywhere near my face! Yoghurt is my favourite of the three. It’s a beautiful neutral, a shimmering glimmering pink-leaning champagne. A gorgeous versatile colour for everyday use, it also comes into its own glowing and glistening for special occasions, and should suit just about every skintone and colouring. 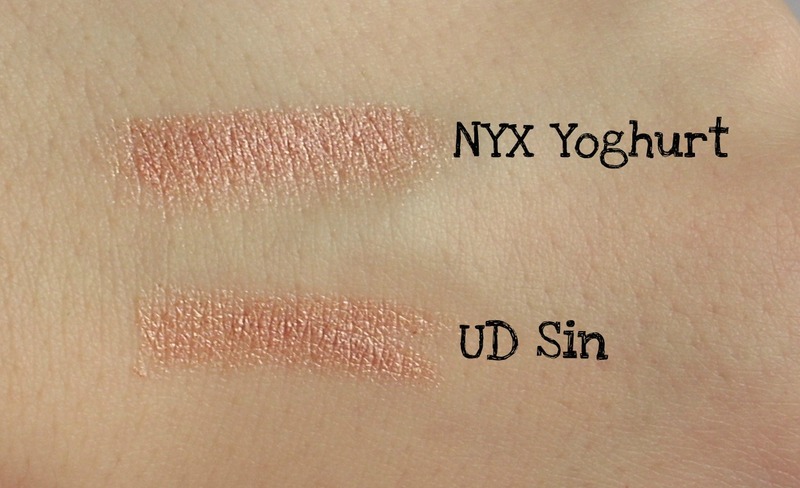 It’s also pretty much an exact dupe for Urban Decay’s Shadow Pencil in Sin which, given that Sin has received far and away the most use out of my five Urban Decays, can only be a good thing! Looks nothing like any yoghurt I’ve ever tried, that’s for sure. Then again, Lemon is my favourite too. This has sensibly been re-named Lime as it’s a vibrant vivid almost acidic olive-gold that leans way more towards green than the name Lemon implies. It’s zingy, zesty and a total stand-out, different to anything else in my (Urban Decay dominated) stash. I’ve compared it here to UD’s Shadow Pencil in Narc and their 24/7 Eye Pencil in Mildew, yet as you can see, they’re far darker and mossier than Lemon. Lemon is the perfectly-pitched balance between green and gold, where green still comes out on top yet but where gold has made it a far superior colour along the way. This gilded green makes me think of Cleopatra for some reason, it just has something luxuriously glamorous yet flattering about it. Stunning and surprisingly versatile, it looks amazing paired with browns or adding a nuanced punch to neutrals. My final pick was the imaginatively-named Purple. This is actually the exact colour of the outside of Urban Decay’s 24/7 eyeliner in Ransom, with a shimmering silvery blue iridescence to it. However, it’s absolutely nothing like the actual colour of Ransom itself, which does have that same blue-purple iridescence but is a lot more dark and a lot more purple with it. NYX’s Purple is the colour of dreams, the colour of butterfly wings and the colour of a precious stone I always hoped existed when I was little, a lavender moonstone. 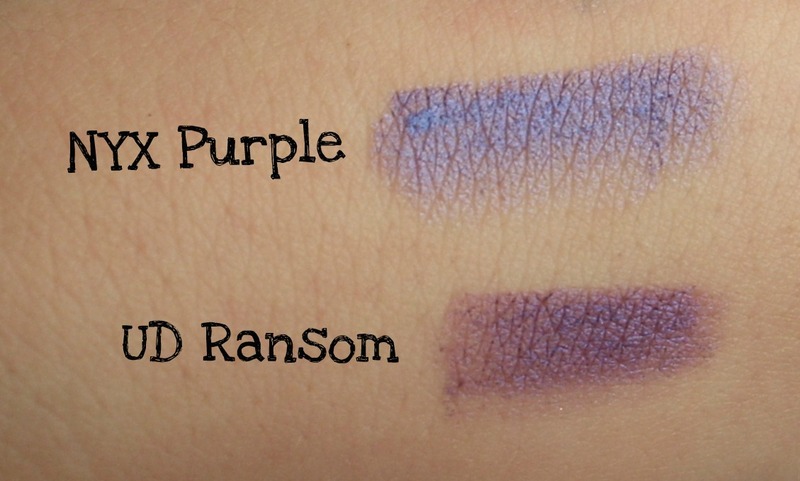 I do love Ransom too, and I think you now realise I just love purples full stop, so NYX’s Purple is an excellent addition to my collection, for swooning purposes if for nothing else. 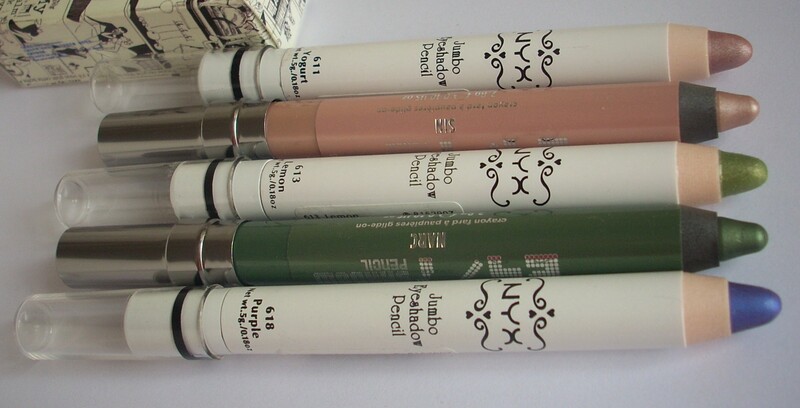 I’d definitely buy NYX’s Jumbo Eye Pencils again (let’s hope another make-up ‘casual get-together’ makes it to Hong Kong soon), as they’re such an obviously brilliant products. 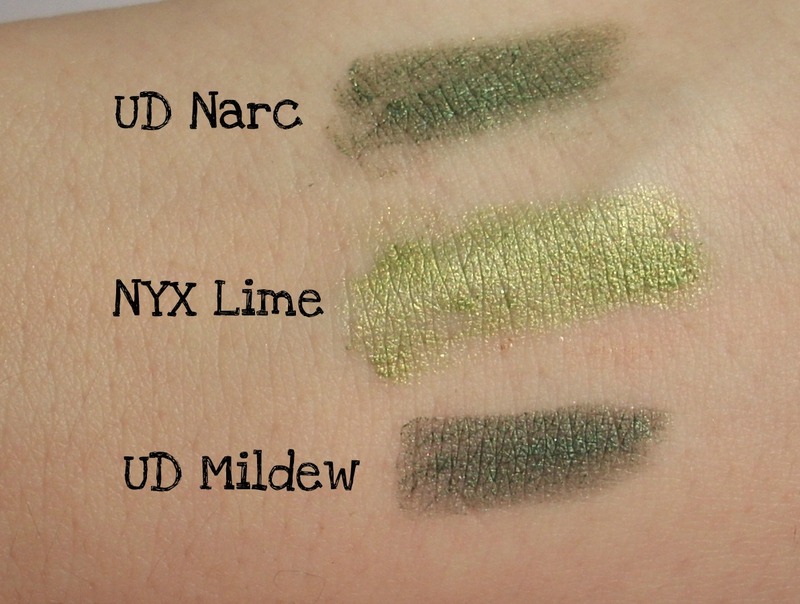 Far from competing against the Urban Decay 24/7 Shadow Pencils, they sit happily alongside them, creasing issue aside – NYX currently have a greater range of colours (since UD just launched theirs) and they boast all the same virtues that made me fall for the UD ones in the first place. I’ve got big… or should that be jumbo-sized love for them all! This entry was posted in Beauty and tagged Beauty, champagne, cosmetics, eye crayon, eye liner, eye pencil, eye shadow, eyeliner, green, Hong Kong Make-Up Fiesta, Jumbo Eye Pencils, lemon, Lime, make-up, neutrals, NYX, NYX Cosmetics, NYX Jumbo Eye Pencils, NYX Jumbo Eye Pencils comparison, purple, review, swatch, Urban Decay 24/7 Shadow Pencils, Urban Decay 24/7 Shadow Pencils comparison, Urban Decay Mildew comparison, Urban Decay Narc comparison, Urban Decay Ransom comparison, Urban Decay Sin dupe, Yoghurt. Bookmark the permalink. They certainly sound & looking very interesting, good for drawing rainbow! great post! the swatches look good! Thanks for the comment! I love the colours I got – just wish I’d bought more when I had the chance! Waaah sorry I don’t think you can! 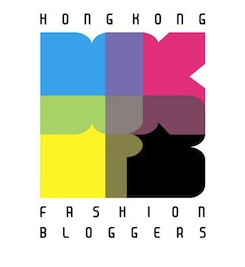 Or hopefully they will be at the next beauty trade show in HK, keep checking HKCEC’s website!